Bags three prestigious awards – Best Master Distiller India, The Best Indian Single Malt Whisky and the acclaimed World Whisky Brand Ambassador of the Year 2017. Paul John Single Malts, the great Indian Single Malt Whisky bagged three top honours at the Icons of Whisky India Awards 2017 – Best Master Distiller India for Michael D’Souza, The Best Indian Single Malt Whisky as well as the venerated World Whisky Brand Ambassador of the Year 2017 for Mr. Paul P. John. The brand whisked away the highest number of wins at the global awards ceremony thus making it one of the world’s top whisky brands to watch out for. The prestigious ‘Icons of Whisky’ Awards recognises the contribution of whisky brands in the industry from around the world and celebrates the winning brand’s dedication in delivering exceptional work across categories. 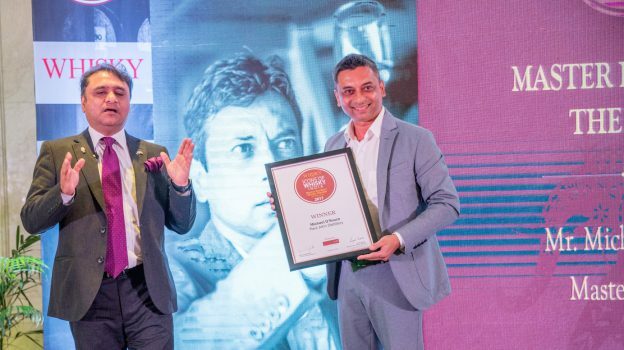 Winning the eminent awards from among an assemblage of some of the most expert whisky producers and distillers from around the world made it a landmark victory for the Indian brand. 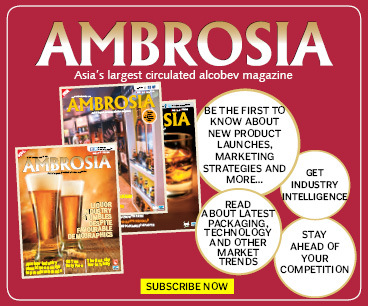 The special ceremony, to felicitate the brand on its achievements, took place at ITC Maurya in Delhi and was hosted by, none other than, Mr. Sandeep Arora, Editor, South Asia, Whisky Magazine. Brought to the world from the sultry coasts of Goa, the Paul John Single Malts are made from carefully chosen indigenous ingredients including 6 row barley from the foothills of the Himalayas. Moreover the tropical climate of the region provides the ideal temperature and ambiance for the whisky to mature to the perfection. John Distilleries first launched the Paul John Single Malt whisky in the United Kingdom in 2012. Ever since, its success in this sphere has been invincible. It didn’t take much time for experts from across the globe to take notice of the exceptional single malt whisky, further opening doors to some of the biggest, internationally recognized awards for the brand. The exclusive range of Indian Single Malts by Paul John are now available in 30 countries including Europe, UK, USA, Australia, Canada, New Zealand, Asia, Duty Free Shops (Dubai, Qatar, Singapore & Bangalore) and was recently introduced in the Indian markets including Delhi, Bangalore, Mumbai, Pune, Chandigarh, Pondicherry, Daman and Hyderabad.